Wanna Build a Snowman, Bats?! A bit more ominous winter creations...but an interesting (and perhaps even funny) one at that. 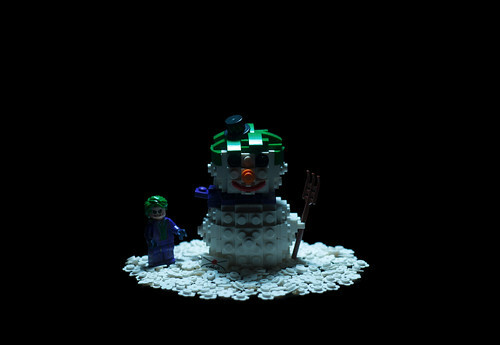 Here we see Joker himself have a bit of playful fun, crafting his very own themed snowman. Though it may look innocent on the outside, I'm sure on the inside there's quite a bit of explosives and Joker cards just waiting to be released. A very interesting build by Sad Brick.